Although I had a few days after the TBDI conference I realized that spending them in Rimini may not be the best choice as there wasn’t much going on. Fortunately it was only a quick train ride to Bologna, a city I know many people have loved and one that’s been on my mind for nearly two years, since Kent and Caanan wrote about their gastronomic coup. And so when Taste Bologna reached out to me on Twitter offering to take me around for the day I was ecstatic. I’m not a fan of tours but I am a lover of food tours as you always get a little bit of history but not too much. Food markets in Italy are my favourite places to visit. I also wanted the inside scoop on Bologna restaurants. I had to laugh because as we changed messages I told Andrea what I would be wearing and that I’m only 5 feet tall (I know, shocking many of you think I’m taller) and he responded only that he would be wearing a grey scarf. Great. Do you know how many Italian men wear scarves? Thankfully he spotted me right away and with a quick introduction we were off for coffee to talk about Bologna food. Andrea is really easy going and it felt like walking around town with a friend. In between food shops he gave me a bit of history, showing me aspects of the city I would have never noticed. Told me how to roast chestnuts, how to buy olive oil and what gelato is good and which ones are for tourists. I learned that Eataly isn’t a tourist restaurant, locals really love it here. To get the full experience have a look at this video of my food tour with Andrea along with a few places he recommends check out my video of food in Bologna. I must say after lunch and good gelato I was kind of sad to say goodbye to a new friend. But Bologna was playing an important match of football and so like all Italian men, he needed to go watch it with the boys. This country should change its name to Eataly. So effing hungry now after watching your vid, nice work. This looks incredible! 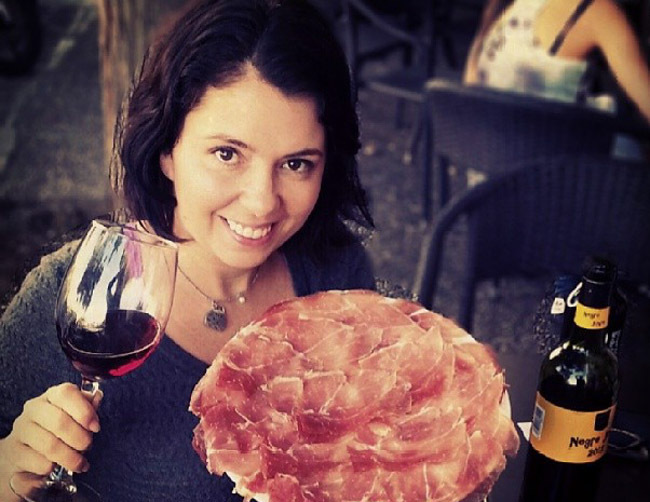 Italian regional food is so interesting and this food tour sounds right up my street. Oh stop! You’re making me hungry now! As always, you make me want to got there and eat it all! Yum! Food is making me hungry! I’d love to do a food tour in Italy. Great video to capture the moment! Italy+food can only = a good time. Just watching your video makes me hungry. And that ice cream! so delicious. This is the best way to enjoy local foods. We all know what Italy is called. Lovely and yummy pasta places! Yum yum! Would definitely go on a pasta phase when i’m there in Italy during our Euro trip. Love the typography in this video… they just keep getting better! I am very hungry after watching the video. Looks like I will be having pasta and gelato for today. I should have eaten lunch before reading this! Yum! Swoon… I love Italian food! Still full from lunch, but I would eat all of this right now. The wall of wine, the cheeses, the truffles!!! Take me back there! I love that their culture is al about food. I just love food tours! They are such a good way to learn about the local specialties and the best places to have them. I love food exploring on my own too, but it’s nice to learn more about the food. Love your video. Now I’m hungry. I sooo want to go back to Bologna just to do this…maybe someday soon. I am definitely going back soon! 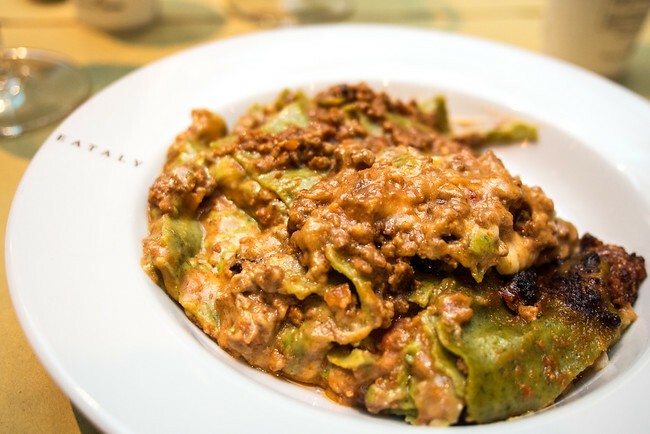 We just got an Eataly in Chicago – I didn’t realize they actually had them in Italy! I thought it started in NYC. Oops. I just appreciate meal organized tours! They may be such the best way to understand a nearby specialties plus the best locations to own all of them. I love meal looking at on my own as well, however it’s pleasant for more information regarding the meal. I simply love sustenance tours! They are such a decent approach to look into the nearby fortes and the best places to have them. I adore nourishment investigating on my own as well, however its decent to take in more about the sustenance.